Many busy businessmen have no time to sit on the chair beside desk in the office to work. Instead of staring at the computer from morning to the night, they are always on business trip. They may stay on the plane to another country or may be on the way to an important meeting. So they get used to communicate with their partners or customers via mobile phones and send documents with messages. With the fast space of modern life and a more and more important role that mobile phone played, many people have the similar tendency. They store the important documents on the smart phone and deal with the business via this tool. Then how to transfer messages from Android phone or iPhone to PC/Mac? MobiKin Assistant for Android (Windows/Mac) or MobiKin Assistant for iOS (Windows/Mac) is the necessity. Because you can not transfer text messages easily without a third party tool and this software is one of top transferring software. 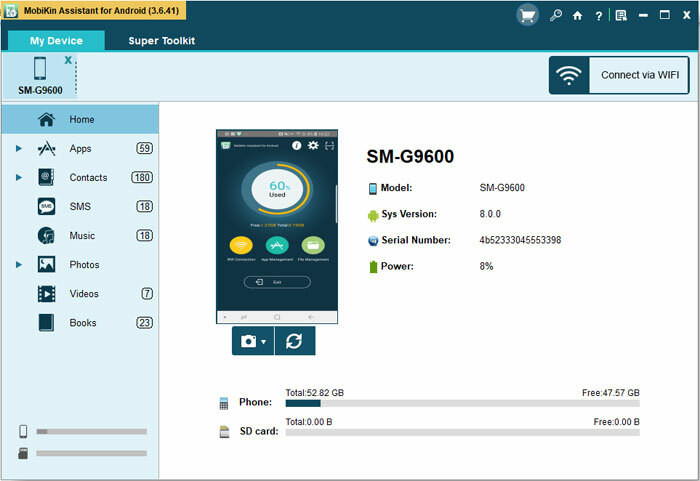 It can help you transfer various files including not only the SMS messages but also the contacts, photos, music, books, videos from mobile phone to computer efficiently. There are two tutorials below. One is to transfer messages from Android SIM card to computer and the other one is to transfer SMS from iPhone to PC. How to Transfer Messages from Android phone to Computer? Step 1. 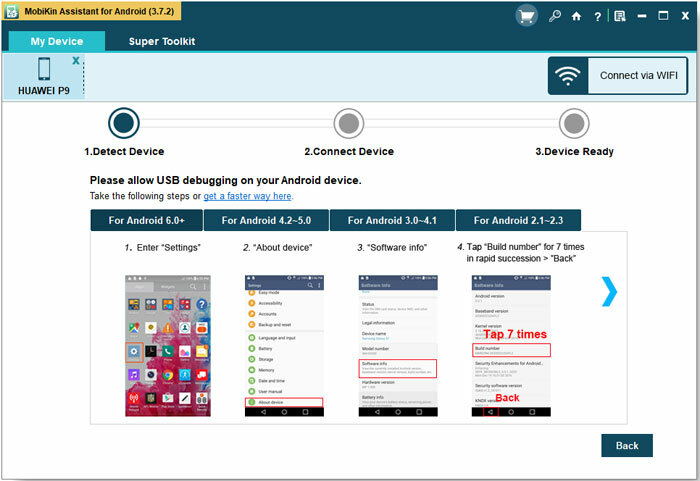 Download the software on your personal computer and then connect your Android phone to computer with a USB cable. Don't worry about the brands of Android phones, because the program can support almost all kinds of Android phones. Step 3. 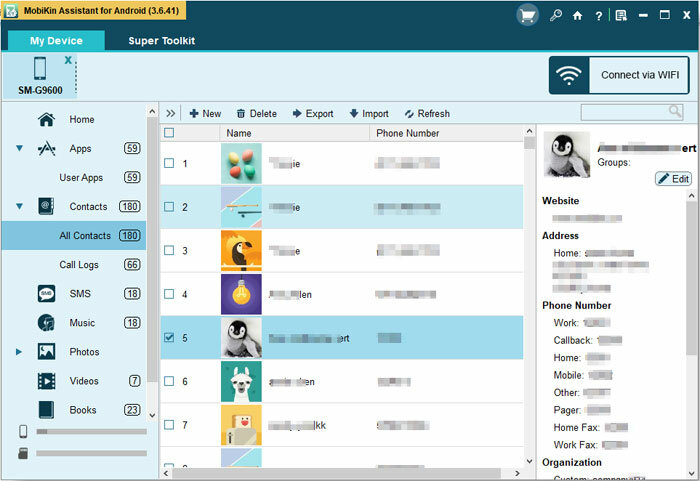 The program will detect and scan the files of the connected device and then you will see an interface like this with many options list on the left column. Step 3. Click the Contacts option and you will see two option below to it. Click the SMS to preview the contents and mark the messages you want to transfer. Finally just hit the Export and you can save them on computer. 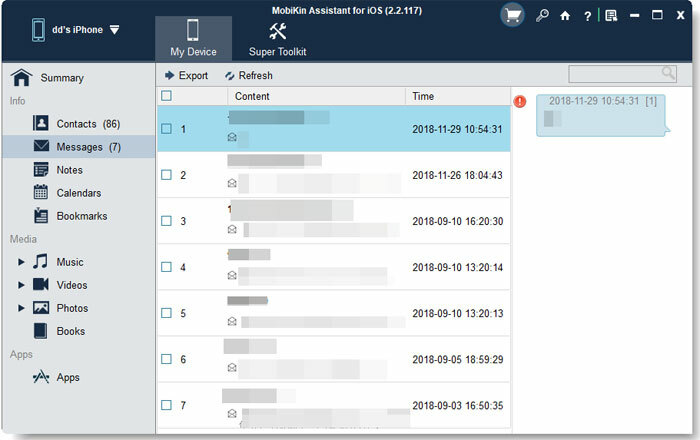 How to Export SMS from iPhone to PC/Mac? 1.Download the software by clicking the icons below according to the OS of your personal computer. Then connect the iPhone to your computer with the USB cable. Note: iTunes is needed to be installed on the computer but is not needed to be started. 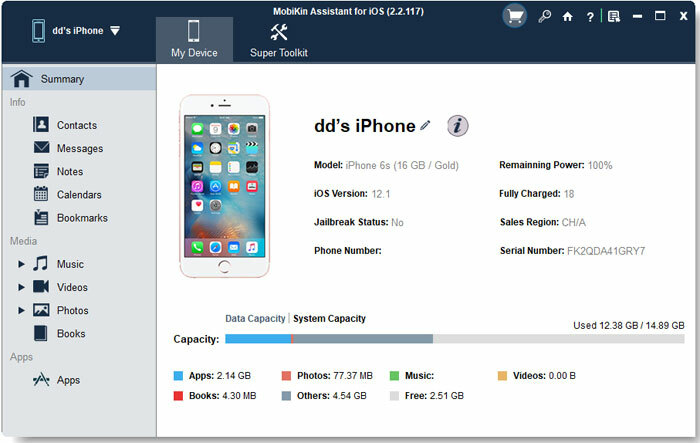 2.The software will detect the iPhone automatically and scan the files deeply. You can see the window with main parameters on the right part of the window and many options on the left column. 3.Click the Messages option on the left panel to preview the details and content of the SMS. Mark the messages you want to transfer and hit the Export button. Want to Know How to Print Contacts from Samsung Galaxy Series? Click here! How to Factory Reset Your Android Phones? LG G5 VS Samsung Galaxy S7, Which One Will You Choose?